Especially, you’ll get to see websites featuring fully-animated designs with parallax effects caused by the movement of the mouse. The beauty of such a design is that it utilizes only a few design elements that make the page more interactive and attention-grabbing either by using the fade-in effect or making the elements slide into the page. For example, Every Last drop website uses an interactive storytelling approach to spread awareness among people regarding water about saving water, as they scroll down the website page. One common thing that almost all the designers love to experiment with is the website navigation. In fact, paying with navigation has been a favorite activity for web designers’ for many years. However, experimenting with navigation proliferated when an entire website was being designed using Flash only. But, as Flash became retarded, navigation menus appeared to be quieter and simple, devoid of animation and interactivity. Though, using HTML5 and CSS3 web technologies is no longer a new concept, but as the use of mobile devices is increasing at a rapid pace, you can expect to see many more advancements in how web designers will be utilizing these technologies to address the navigational needs of various devices. With the release of Google new mobile-friendly update, creating responsive designs has become a lot more important for website owners than ever before. However, as the web is becoming customized to address the needs of different viewports, some users will continue to maintain minimal aesthetics. But, others will see responsive design becoming more evolved. According to ZURB’s design lead Jonathan Smiley, “we will have better understanding about how we need to build websites that are optimized for almost all the devices”. While many responsive web design practices became popular in 2014, but still lot of responsive designs suffered from optimization issues. However, with new and emerging responsive practices, soon all the web designs will genuinely work well in terms of responsiveness. 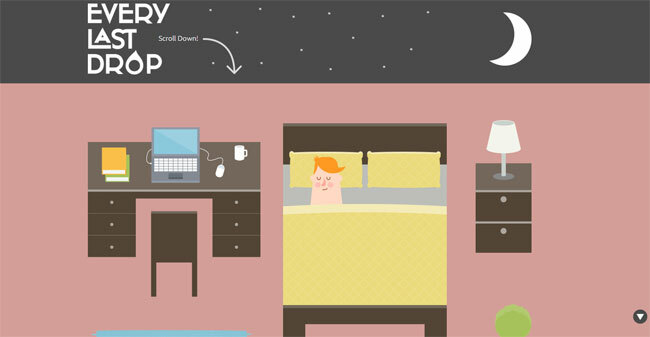 Over the last couple of years, flat design has been touted as the top web trend many times. And it’s still going to stay for good, especially when used for representing smaller elements like icons, illustrations, etc. These elements not just look good compared to the glossy icons that were added in almost every site in the days gone by, but they can also scale and manage more easily. Another thing that you need to consider is that flat design isn’t always flat, and you can add subtle drop-shadows, gradients, photos and other stuff to create the “wow” effect. With constantly evolving online marketplace and growing competition in the web industry, it has become important for website owners to keep their website up-to-date according to the latest web trends. But, keep in mind to carefully research for the right trends. Besides, make sure not to consider fads as web trends, since web trends evolves into becoming a permanent change while fads likely abate soon. In this post, we’ve tried covering some of the major web trends that’ll continue to evolve with time. Samuel Dawson has awesome experience in the field of web design & development. He is presently an integral part of Designs2HTML Ltd- a result-oriented HTML to WordPress conversion service company. He loves to work on latest front end technologies.